These days Cobb County is in the news for its large-scale building projects, notable film locations, award-winning entertainment venues and healthy stock of Fortune 500 companies. With such a flurry of activity swirling around the Cobb of today and tomorrow, it’s hard to believe that less than 50 years ago Cobb was little more than a bedroom community with wide swaths of farmland dotted by barns, small town squares and corner gas stations. 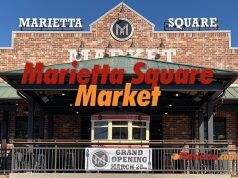 Though Cobb has changed dramatically in the ensuing years, and more IT experts than farmers now call the county home, the Cobb of yesterday can still be seen in the newly restored town squares nestled beside towering modern high-rises and bustling office parks. 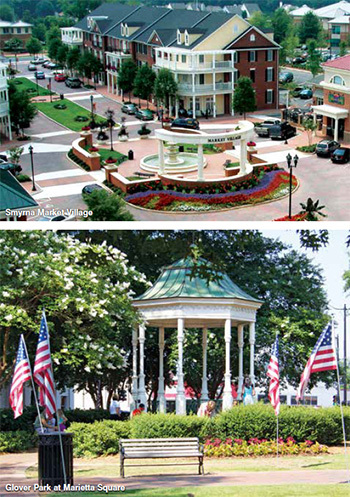 This remarkable juxtaposition of new and old, modern and pastoral, community charm mixed with business acumen, is what makes Cobb County such a popular destination to live, work and play. The story of Cobb County is largely the story of Atlanta—a sleepy Southern locale brought to life with the help of the South’s most powerful transportation asset—Hartsfield-Jackson Atlanta International Airport. Coming of age in the 1950s, Hartsfield soon became the busiest airport in the country, and later, the world. Serving tens of millions of passengers every year, the airport’s unparalleled access lured big business, entrepreneurial investors and thousands of people escaping the diminishing opportunities of the Rust Belt. 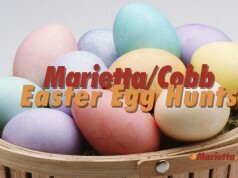 Situated less than 30 minutes northwest of Atlanta, Cobb County soon became a go-to destination for families looking for lots of land, affordable housing and safe neighborhoods. Perennially ranked one of the best road systems in the country, Georgia was recently rated No. 2 in infrastructure and transportation by CNBC. Cobb County also has quick access to Georgia’s 4,700 miles of super cargo railway, and the deep-water seaports of Savannah and Brunswick are about four hours away. With great shipping access, a major highway network, an international airport and shipping giant UPS calling the region home, it is no surprise that Cobb County business has grown exponentially in recent years. 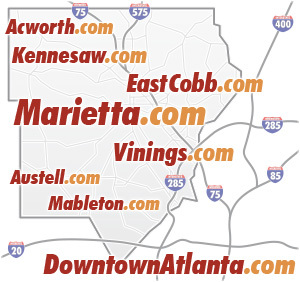 While a strategic location with close proximity to a major highway network and the nearby city of Atlanta accounts for much of the county’s success, Cobb is also known for having one of the most educated and affluent populations in the region. Ranking among the highest in the state, Cobb County residents have a median household income of nearly $70,000. High salaries correlate with higher housing prices and healthy property taxes, which fund the top-rated Cobb County and Marietta City School Districts, home to nine nationally ranked high schools that received gold, silver or bronze medals in U.S. News & World Report’s “Best High Schools” issue. “Cobb is attractive because it has very good school systems and very good colleges, which is a strong draw for employees and their families,” says LaFerle. “Really great learning establishments produce top-quality employees.” Cobb County’s high salaries and strong primary schools correlate with another astounding statistic—42 percent of Cobb County residents have a bachelor’s degree or higher, making Cobb the most educated county in Georgia. With strong ties to companies like Lockheed, which employs a highly educated labor force of scientists, engineers and technologists, it is no surprise that Cobb County has one of the metro area’s lowest unemployment rates. 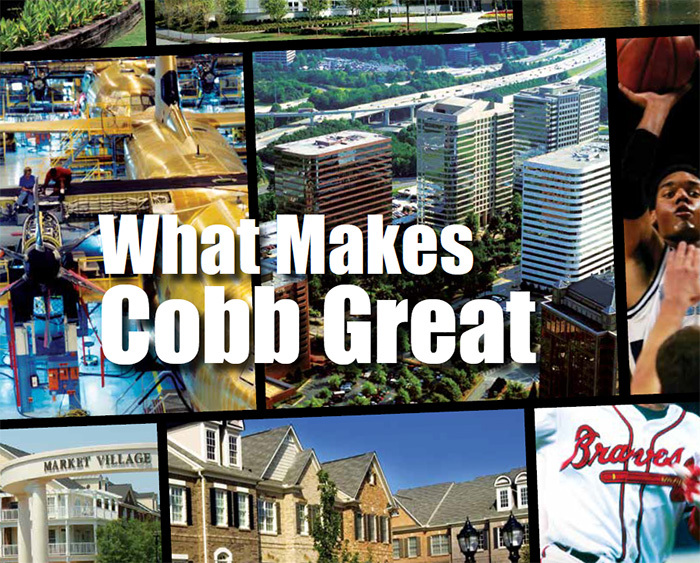 In addition to top-notch infrastructure and a highly skilled, affluent workforce nurtured by excellent public schools, great universities and MBA advancement, Cobb County has a pro-business climate engineered for success. Metro Atlanta’s economy ranks an astounding 15th among world cities and sixth in the nation, garnering a gross domestic product of $270 billion. Coupled with favorable tax rates and a fiscally sound pro-business government, Cobb County is one of the few of counties in the nation with a triple-A bond rating from all three credit rating agencies. 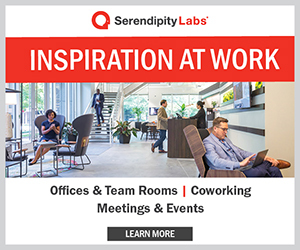 Consistently rated one of the best places for entrepreneurial activity, and one of the top five most wired cities in America, Atlanta boasts more than a dozen Fortune 500 companies, but it runs on the energy of small businesses, franchises and young entrepreneurs. Well known for its innovation, low cost of business and economic dynamism, Atlanta was recently ranked the No. 7 “Best Start Up City” by Entrepreneur magazine. With one in three workers between the ages of 25 and 44, Cobb County is well positioned to reap the rewards of its innovative, young workforce. While Expansion magazine rated Georgia’s Quick Start program the nation’s top workforce training program, the state is also well known for aggressive business incentives for innovation, research and development, films and quality jobs. Tax policies like enterprise zones, redevelopment sites and “Single Factor Gross Receipts,” which treats a company’s gross sales as the only relevant factor in determining taxable income, Georgia was voted the 25th most business-friendly tax climate by the Tax Foundation in 2011. To help spur economic development even more, Cobb leaders have joined forces to create Cobb’s Competitive EDGE, a seven-point, public-private economic strategy for job creation that is expected to create 7,500 new jobs, generate more than $640 million in annual economic impact and increase disposable income by $512 million and consumer spending by $445 million. 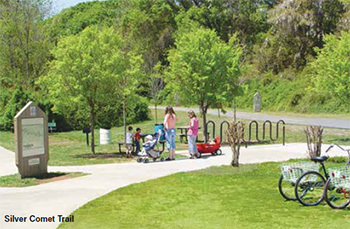 Besides affordable home prices and a great diversity of housing, Cobb’s excellent quality of life extends to its fantastic parks, including sports and recreation centers, top-notch YMCAs, the 60-mile Silver Comet Trail and the sprawling wilderness of Kennesaw Mountain National Battlefield Park. “The natural terrain is very green and pretty,” says LaFerle, who notes that 80 percent of the 11,000 Home Depot associates who work in the county also call Cobb home. In the 1960s, people flocked to Cobb County for only one reason—the 300-acre thrill park known as Six Flags Over Georgia. Decades later, tens of thousands of tourists visit the county every year to discover what Cobb residents already know—the county is continually adding new entertainment venues, state-of-the-art infrastructure and top-rated talent that rivals anything offered inside the Perimeter. 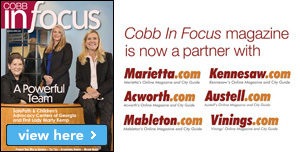 A booming nexus of industry, profit and entertainment, Cobb County is also known for its unique blend of business and community—a place where companies large and small come together to support health care, education and charities like MUST Ministries. 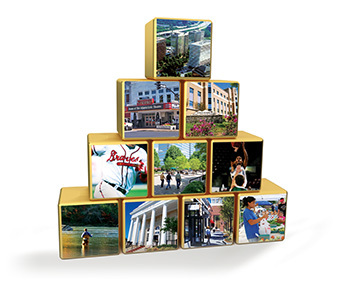 While Cobb is now home to world-class companies and top-notch entertainment venues, when it comes to giving back, Cobb County retains a system of values that reflect its small town roots. “It’s nice living [in a place] with a sense of community and home,” says Bunch. “When you learn about all the wonderful charities in the county, you wish you could give to all of them. Even during the economic downturn, companies retooled and rearranged just so they could continue to give back.” Since 2006, The Home Depot Foundation has donated $2.5 million to Cobb charities like Habitat for Humanity of Northwest Atlanta, United Way of Cobb County and Cobb County Housing Incorporated.